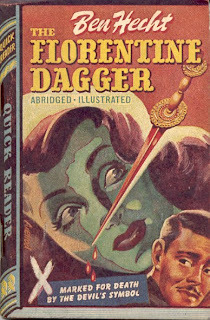 Paperback Originals (PBOs) were uncommon in the world of mass market publishing until the 1950s. Here we'll start to look at the three largest Canadian publishers and their PBOs. Harlequin Books and Wm. Collins Sons & Co. Canada Ltd. were typical reprint publishers. 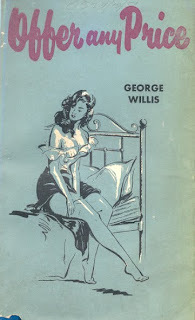 From 1949 to 1959 after which they published only romances Harlequin issued 481 titles, 19 (4.0%) of which were PBOs. Collins had 429 titles during its 10 year run of the White Circle imprint. Only 10 (2.3%) were PBOs. Export is a different story. Of Export's 165 titles, 55 (33.3%) were PBOs. There were no PBOs for the first year after Export started the News Stand Library imprint up to #52, then 32 in the next 43 books. I suspect this shift resulted from Export finding it cheaper and perhaps easier to deal with Canadian authors willing/needing to sell a novel for $400 with no royalties than contracting for reprint rights with American publishers. Based on the way they handled the author below Export did not spend a lot of time getting a book out the door. "[I] agreed to sell [to Export] the mss’s condensation [sic] rights for $400.00, and I was horrified when the paperback came out to see how the original had been murdered. Only about half of the original was used [and] I look back on my dealings with them with no pleasant memories." Other than the recent edition of Montreal Confidential this is the only Export PBO to be honoured with a new edition. 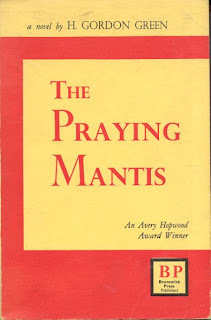 In 1953 Brunswick Press of Fredericton published an unabridged trade paperback version (some 105% larger) under the even more pretentious title The Praying Mantis. 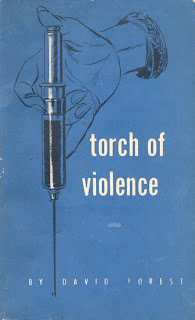 This edition does not mention the Export edition and notes that the book was “An Avery Hopwood Award Winner.” The Export edition also states that The Pillar of Fire is the “Winner of the HOPWOOD MAJOR AWARD for Fiction.” This award is part of The Avery Hopwood and Jule Hopwood Awards Program administered by the University of Michigan. Students at the University are eligible for one of a number of awards. The manuscripts they submit are not necessarily published. Export, by abridging more that half of the book, did not publish the manuscript that won the award, the only award connected with an Export book. In earlier discussions of the 28 books that Export Publishing Enterprises Ltd. sold in the US I noted that 20 of them were published with and without dust jackets. Export seems to be the only publisher of mass market paperbacks in Canada at the time, either English or French, to have used DJs. Here are three more of the 20 plus an example from France circa 1940s. 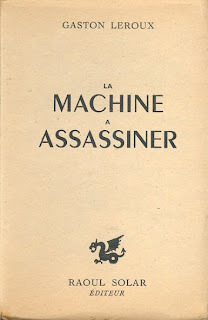 The French paperback, La Machine a Assassiner by Gaston Leroux, was part of the "Le Dragon Vert" (Green Dragon) collection from the publisher Raoul Solar. 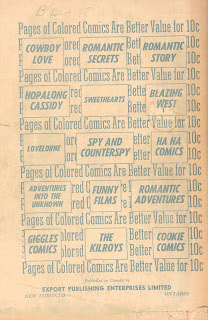 The inside flap lists 26 books in the series but only four appear to have been published. 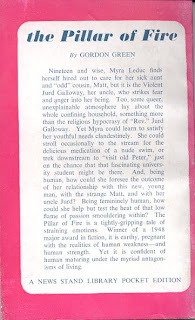 This blog is sub-titled "Canadian Paperbacks" but the long title should be "Canadian Paperbacks Published by Canadian Companies". 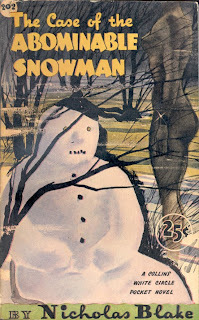 In competition with the pure Canadian books were Canadian editions of books published in the US and Britain. Typically the plates would be sent to the Canadian subsidiary with books then printed, bound and distributed to Canadian newsstands, drug and cigar stores and department stores. Here is an odd example of this. 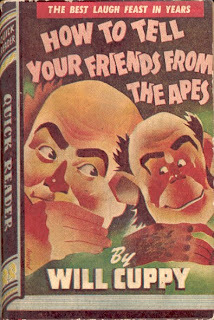 Quick Readers were 49 small (3" x 4 1/2") books published by Royce Publishers of Chicago from 1943 through 1945. There were collections of short stories but also a number of novels, including Jane Eyre, Crime and Punishment, Wuthering Heights and The Way of All Flesh. The books were 128 pages long and usually had illustrations. At 128 small pages you can imagine how much A Tale of Two Cities or Gulliver's Travels were abridged! They sold for 10 cents. 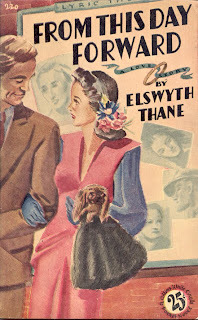 The Canadian editions were copyrighted in the Dominion of Canada and published by Royce Publishers (Canada) Limited at 40 Lombard Street in downtown Toronto. All the examples I've seen are identical to the American edition except the price is marked 15 cents on the inside front cover. I know of Canadian editions from the beginning of the series to near the end so it is likely that all 49 were published in Canada. Here are four examples (doesn't Count Bruga look like the actor Paul Bradley who played Joey in the 1970 Canadian movie Going Down the Road?). 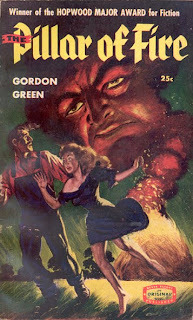 Global Publishing Company managed to publish a handful of mass market paperbacks circa 1947 from Pickering, Ontario, a city just east of Toronto. 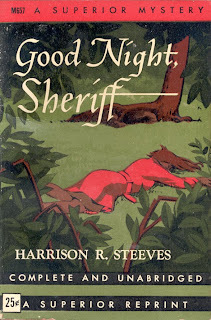 The publisher was Horace Brown who I'll talk about in another post. 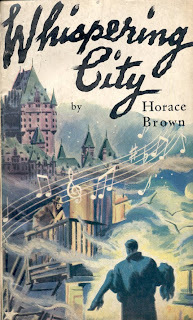 One of the three books below is written by Brown as a paperback original - a novelization of a movie Whispering City. The book has a 1947 copyright date. The movie takes place in Quebec City and was released in both French and English. It is available on DVD. The other two books are classics published to tie into recent movie adaptations. 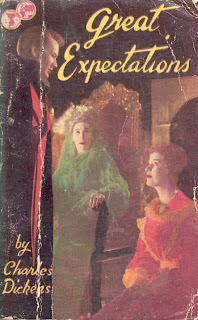 There are two versions of Great Expectations - one with a heavy card cover and one with a light paper cover. Also the spine printing is in different colours. 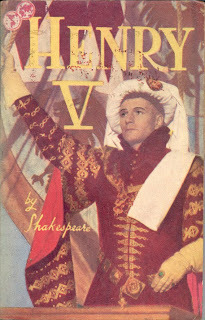 Henry V has the heavy card cover. Great Expectations is described as "the shorter edition" - whatever that means other than someone has abridged the book. P. K. Page, described as a Canadian literary icon (see obituary here), died earlier this month after an amazing career of more than seventy years. 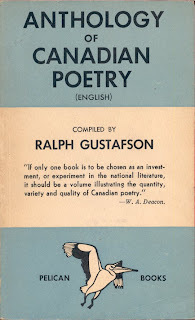 An anthology of Canadian poetry published 68 years ago has one of her poems - "For G. E. R.". See part way down right hand column. The Globe & Mail review by W. A. Deacon (June 6, 1942, p. 9) calls the book a "neat, small, cheap collection." He congratulates Ryerson Press on "an excellent piece of bookmaking" and notes that "[the president of] Collins plans to sell 50,000 copies during the next two years, which is the term for which he has leased copyright privileges." Note that he mentions Wm. 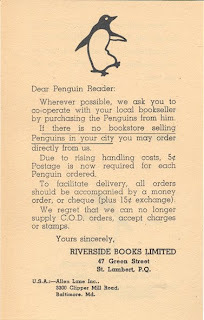 Collins Sons & Co. Canada Ltd. rather than the publisher Penguin Books. 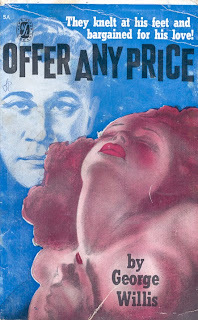 Collins had been the agent in Canada for Penguin since the late 1930s but in this case was publishing the book in Canada. My copy has the following slip which dates from a few years later when Collins was no longer agent. A small company in St. Lambert Quebec had taken over. Collection Petit Format (CPF) was a mass market imprint published by Les Ed. Moderne Ltee of Montreal from 1944 to 1958. During the fifteen years 443 books were published. Only 27 were published 1944-1948 with 416 published from 1949 to 1958. Curiously the years and number of books have an English Canada counterpart - Harlequin Books of Toronto. 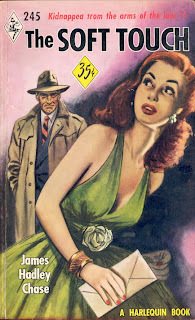 From 1949 until 1959 Harlequin published 501 books, 20 of which were reprints leaving 481 titles. 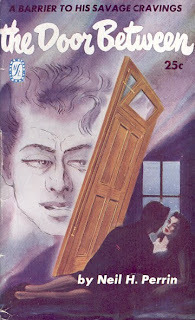 After 1959 Harlequin published only romance (with a handful of exceptions). With this post I'm going to start a comparison of the two imprints and see where it leads. An obvious start is looking at the genres. Leaving the largest, romance and crime/thriller, for another time I'll start with the fiction genres with the least amount of books. 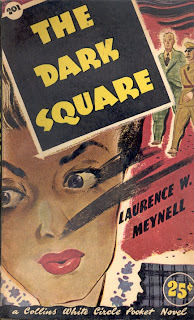 Harlequin published one sports novel and five war novels. CPF none. 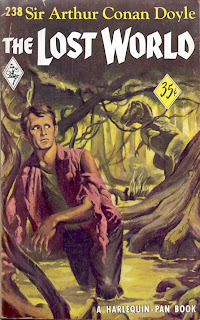 Harlequin published seven science fiction books, CPF one. And finally CPF published 11 classic novels (authors such as Balzac, Stendhal and Tolstoy) and two juvenile books, Harlequin none from either group. 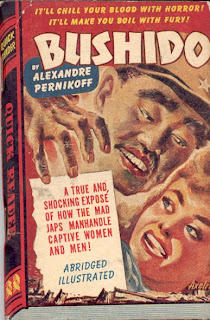 Nothing much to be learned here except that many types of stories were equally unpopular in French and English Canada for a general paperback publisher's audience. 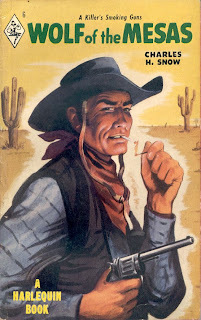 The one genre with a difference is westerns, Harlequin published 75 (16% of their total). 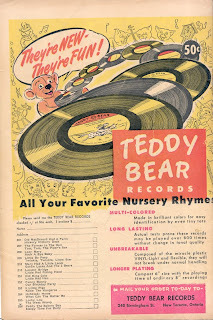 Fifty-one were published in just four years (1950-1953). 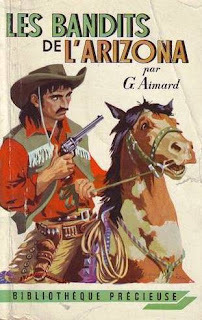 During these four years CPF published 56% of their books, including a lone western. Why the dramatic difference? I don't know. Were westerns simply not popular in Quebec at a time when their popularity peaked in English Canada. 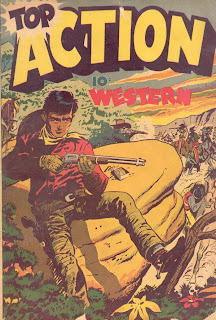 Or were there other Quebec publishers that met any demand for westerns. The CPF western is Les Bandits de l'Arizona by Gustave Aimard (French, 1818-1883). 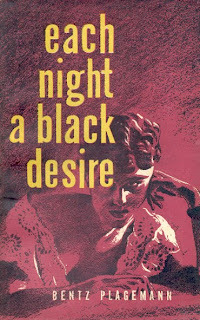 Below is another paperback edition from 1953. Information about CPF is courtesy of Literature en poche: Collection "Petit Format", 1944-1958: repertoire bibliographique, Richard Saint-Germain (Sherbrooke: Les Editions ex Libris, 1992). 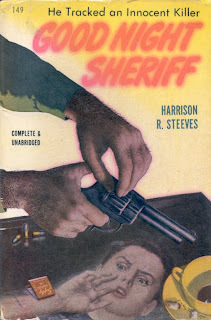 Here are some Harlequin novels from genres discussed in this post. 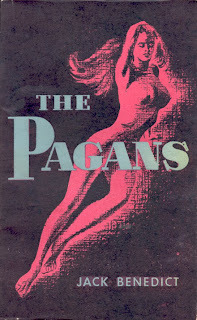 Part I showcased the seven documented but unsigned covers that Canadian artist York Wilson did for the White Circle imprint of Wm. Collins Sons & Co. Canada Ltd. in 1944 and 1945. 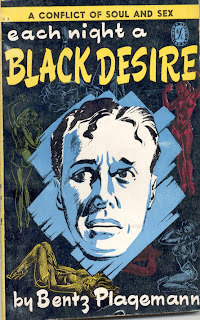 There are eight other covers that I believe are likely by Wilson based on his distinctive style. This style can be seen on his non commercial work from this time - for example. Here are four of these covers. The first three are from 1944, the last 1945. Continuing part I here are two more of the 20 dust jacketed books Export published for sale in the US. I mentioned in the first part that Export was unique in their use of DJs among Canadian and American mass market publishers. 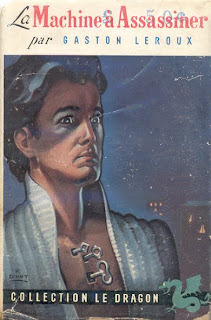 I know of no other Canadian paperbacks from this era with jackets. 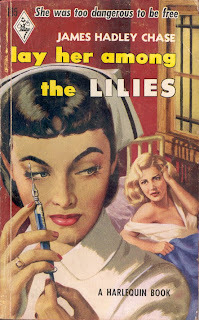 Such major US publishers such as Ace, Avon and Popular never used jackets while Dell and Ballantine had one each. Pockets Books and Penguin US had four and six respectively. 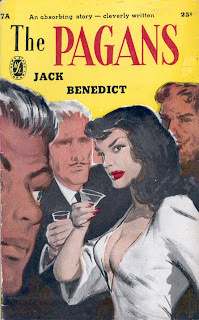 The closest US publisher to Export was Bantam who published 27 jacketed books. But these were spread over four years and 300 books. Seventeen were used to change the look of books already published by Bantam. Ten were used to disguise as Bantams books from companies Bantam had bought. 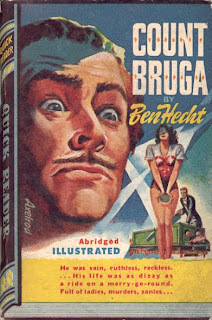 The DJ for the last Bantam book below was used on four other Bantams with title and author change but same illustration. In the first post about Fireside I displayed six "$3.00 IMMORTAL CLASSIC" editions Fireside published. Here I'll present four more of their magazine size books. The first is a variation on the first group. 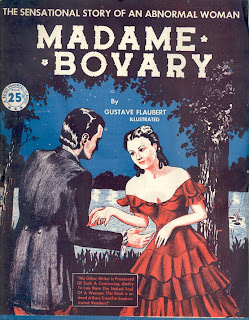 Madame Bovary is "A $2.00 IMMORTAL CLASSIC" published in 1945. It is 32 pages rather than the 64 pages of the first group. The second is undated and back to 64 pages. 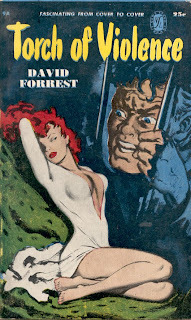 The author is revealed inside as Alfred Conner. The next two are somewhat different. The price has jumped to $1.00 and the subject matter has changed. These were likely not displayed on the news stand racks. 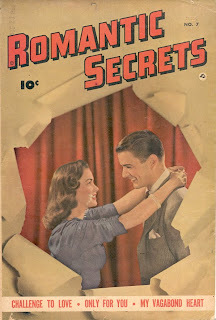 Both are 64 pages with Vickie Saunders dated 1945 and Women undated. Dorothy Leona Edgar is the author of Vickie. 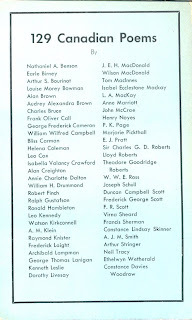 In the last Collins White Circle authors post I noted that there were 142 authors published by Collins in the WC imprint - 153 if you ignore pseudonyms. Seventy-eight authors had just one book published. 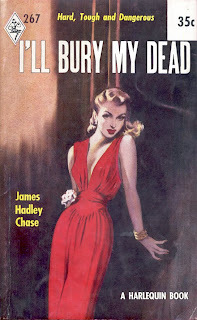 In this post we'll look at one of these authors who used a pseudonym - James Hadley Chase. Actually Chase is a pen name - his real name was Rene Brabazon Raymond. 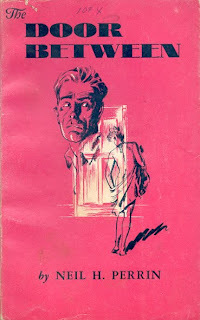 Chase's most famous (and infamous) novel was his first of over 80 - No Orchids for Miss Blandish published in 1939 by Jarrolds of London. 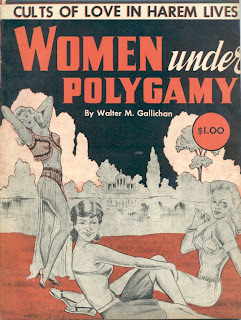 In the next 70 years the book was retitled, revised, bowdlerized and censored by publishers and modified by the author to produce at least five versions. It also has been filmed twice - a low budget British in 1948 and under the title The Grissom Gang in 1971, directed by Robert Aldrich. 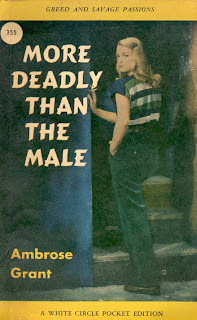 The only Chase book published by Collins was More Deadly than the Male under one of his little used pseudonyms Ambrose Grant. 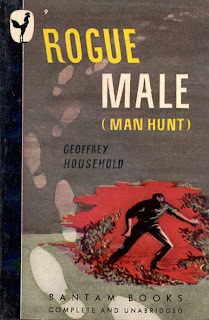 The original edition was published in London by Eyre & Spottiswoode in 1946. 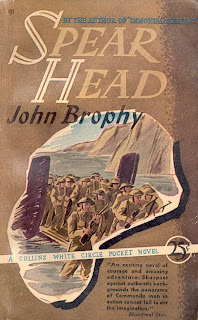 The White Circle edition dates from 1948 and has a photo cover - one of 34 Collins produced. 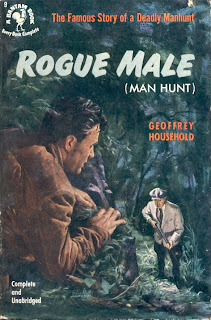 It is interesting to contrast this single White Circle edition with the 24 published by Harlequin from 1951 to 1958. Sixteen were under the Chase name and eight under another pseudonym, Raymond Marshall. Keeping the WC edition company below is three Harlequins. 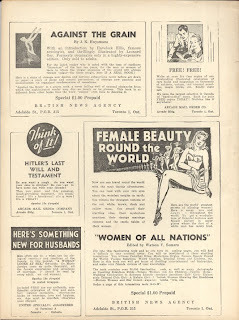 The first post about the comics published by Export Publishing Enterprises Ltd. dealt with their original publications. 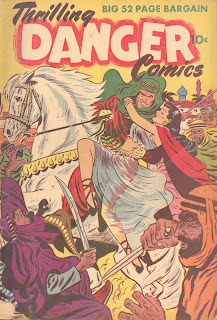 However most of the comics Export sold were reprints of American comics. 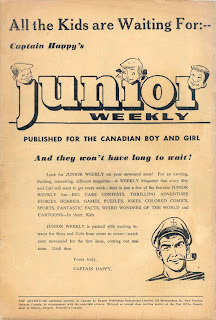 Export had contracts with companies such as Fawcett and ACG to print their comics for the Canadian market. 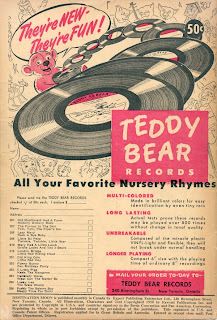 There were at least 30 titles with names such as Big Giant Comics, Ibis, Love Diary, Tex Ritter and Zoot Comics. Here are four of them with front and back covers. 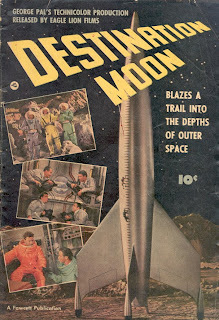 Destination Moon is the only pure reprint of a comic that was published in 1950. 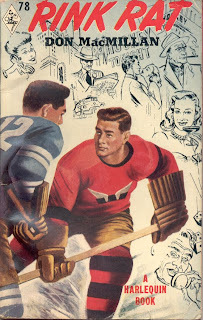 The rest are Canadian titles with stories from various Amercan comics. None are dated but the first comic has a vendor's date stamp of Aug 1950.